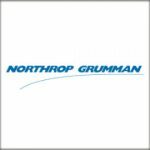 Northrop Grumman’s (NYSE: NOC) mission systems sector has received an $89M contract modification to build special mission computer systems and support equipment for the U.S. Marine Corps. The modification would increase the ceiling value of a previously awarded indefinite-delivery/indefinite-quantity contract that covers research and development of computing system configuration sets for the AH1Z and UH-1Y platforms, the Defense Department said Wednesday. Work covers upgrading aircraft mission computer software and hardware and providing system improvement products designed to support the functionality of integrated avionics systems. Ninety-eight percent of tasks will occur in Woodland Hills, Calif., and the remaining 2 percent in Salt Lake City, Utah and Baltimore, Md. The Pentagon expects the company to finish work April 2020.